We need to craft a clever subject line that will raise interest yet won’t be considered as click-bait or too spammy for ESPs, we need to figure out what will make them scroll through our copy, and last but not least, what will motivate them to click on that link or button. Sometimes it looks like our job is basically to read minds, apply the insights we’ve caught while in mind reading mood, rinse and repeat. Don’t know about you, I can’t read minds, the best I can do is to read case studies, test and cross my fingers when I launch a new campaign. But that doesn’t mean that I’m launching my campaign blindly, believe it or not, you always have information at your disposal, if when you’re launching your first campaign. When I test, I base my tests on what I know from countless research made about human behavior. Understanding the human psyche allows you to launch campaigns that harness our inner mechanisms, making us click and even defying the odds sometimes. We have at our disposal a century worth of research, uploaded and available to all via scientists who explored and mapped the human psyche, analyzing it and identifying what makes us humans tick, or click, so why not use that? For instance, one of the most prominent research on reward and human motivation found that our brain is hardwired to gratify itself with as many rewards as possible, whether these rewards are intrinsic or extrinsic. Let’s take an example, our ancestors lived in a hunter-gatherer society, we hunted for food and faced dire consequences when we failed to get it. This fact, over time, made sure that the surviving hunters will be excellent at hunting and gathering, and will also enjoy good food. Yes, the fact that most humans perceive good food as a form of reward was established long ago J. Our brain today is the same brain our ancestors had, certain behaviors and reactions that were strengthened by years of natural selection are still controlling our behavior, but the thing is, that the rewards are much more diverse and plentiful and we don’t lose our mind over just anything. Below are six mind hacks I love to use in my email marketing and an explanation of why they work, alone they are effective in making people click, together they build trust in your brand, and help ensure that clicks convert to sales. Why do we follow the actions of other people, especially those who are considered influential? This one is easy, it’s because we can picture ourselves in other people’s shoes and when the shoe fits, we want it! First, learning from someone else is quicker. Learning an important skill (like hunting) helps our social group. Other people can help us avoid mistakes and danger. When making purchasing decisions, people trust reviews from trusted sources. Close friends and family members’ opinions matter. Nielsen reports that 83% of consumers say they trust the recommendations of those close to them over any other form of advertising. Websites such as Yelp, a platform for user reviews, has been known to make or break businesses based on user reviews. How to use this tactic to your advantage? By showing your audience subscriber numbers, it proves they are not alone in trusting your product. Take it one step further and include customer testimonials. A simple recommendation reassures the reader that your product or service is worth their time. An example of this kind of influence in action is what Ticketfly does. By using customer Facebook data to show users which of their friends are attending music events, it garners more interest among other social media users in their network of friends. In other words, by just sharing information on the number of friends attending certain events, it subconsciously creates a buzz among other users, causing them to buy tickets as well. Another example: do you segment your audience into lists? That’s great! Target them with crafted social proofing targeted at their interests, occupation or whatever you’ve got going there on your list of personas. The trick here is to create a mental image in which the readers can identify with the person in the provided testimonial. We’re curious by nature, curiosity helped us in many ways throughout our evolution. It’s curiosity that helped to use tools, it helped us to harness fire (through many trials and errors probably), and it’s still pushing us today to explore our boundaries. But our curiosity comes with an unwanted companion, FOMO – fear of missing out. FOMO is responsible for you constantly checking your mobile device, it’s responsible for you not missing the release of yet another horrible <add brand name here> product, and it’s also responsible for you clicking on click-bait titles. Tickling your reader’s curiosity with click-bait is a sure-fire tactic to get that click, sure, but it always leaves a bad taste after and it never gives you long term satisfaction or a sense of accomplishment. To create long lasting relationships with your users, you’ll need both to intrigue them before they click and to deliver something amazing as a reward after they’ve clicked. Psychologist George Lowenstein was curious about human curiosity. And sure enough, he found that there’s a strong, intrinsic need to fill an information gap. 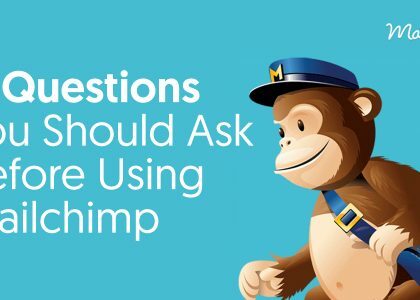 By deliberately composing the subject line and body copy to make the reader feel like they’re missing out on something valuable by not clicking, you’ll get a boost in your click through rate. Creatively engage your audience’s imagination by leaving out the ‘right elements’ of information, and bang! Deliver something amazing. Steve Jobs used this principle time and again. During his time at Apple, he thrived on exploiting the natural curiosity of others to the company’s advantage. Jobs would often leak a product prototype, and subsequently, Apple would embargo all official information between the demo and the release. By the time the product was released, Apple loyalists, bloggers, and even Apple antagonists would be storming the internet with speculations on what the latest feature or design would be. This practice consistently helped Apple stay on top of the selling charts. Often reaching far into the millions before their products were even released. FOMO fueled everything, but Apple usually delivered, and that kept everyone happy, for a while, that’s why it worked. Scientist Linus Pauling said, “Satisfaction of one’s curiosity is one of the greatest sources of happiness in life.” My take on this? As long as it’s worth my while. Our eyes were not always what they are today, they developed over a process that took millions of years. Our eyes process incoming photons, in this process, the photons trigger neural signals that are interpreted and form in our brain images. Our eyes are so good at that that they only need 5 to 9 photons to arrive within less than 100 ms to fire a slight neural response. The more recognizable the image or pattern is, the faster we identify it, and although we became adept at reading text, images deliver more information, faster. A good example of our tendency to focus on images that we recognize is our tendency to focus on faces, and especially the eyes. According to this study, eye gaze can’t be ignored, you have to look at eyes looking back at you, arrows too btw, but that’s a different story. That’s why you have to use visuals, they sell better by imprint the message you’re trying to deliver and associating it with your brand or product thus forming a mental image, a well-used component to set you apart from your competitors. However, we’re doing email marketing here, and as you probably know from personal experience, less really is more. Most spam filters will push an email with too many images into the spam folder. And if spam isn’t what’s blocking your email, it’s image blockers. It’s estimated that 43% – 47% of emails are opened without images on them. If not image blockers, then it’s the ESP. Not every ESP renders stacked images correctly. And that’s without taking mobile into consideration. Mobile digital media time has long surpassed desktop with 17% of all email opens being desktop email, webmail 27% and mobile 56% according to Litmus. Meaning, you need to consider how your email will look on mobile. In the US alone, 70 million consumers access email through their mobile device, with 43% checking their email on it 4 or more times per day. If your email is overloaded with images, you may as well not send it at all. Restricting your images to no more than 25-30% of your email will ensure good deliverability. As with images, less is more. The less text, the higher chance your email is being read in its entirety. As demonstrated in the point above, we’re processing a lot of information all the time, and it’s becoming increasingly hard for us to focus. A study published in 2012 explains how we’re able to focus, we can focus via two processes working our brain simultaneously to block unwanted signals, they are called “sensitivity enhancement” and “efficient selection,” both process information and block out redundant information. What this study found is that some stimuli are particularly disruptive to our ability to focus, and yes, these stimuli are usually the ones who evoke high neural activity, like images, contrast, video, etc. There’s just more information, and after a certain point, it’s more difficult for us to block the signals. I’m not saying don’t use images or videos, no. They are great, and they can engage your audience and make a sale better than any text you’ll craft. But instead of offering three images, focus on one per offer, don’t worry, they will click through to view the rest. Moosejaw, an outlet apparel store, is a great example of short text producing big results. By appealing to emotions, they get the message across in a quick two-liner. When advertising an outdoor travel backpack, the ad reads, “Bad days happen, at least your stuff will be dry” along with an image of a girl in the rain. Taking it one step further, when the user’s mouse hovers over the product, the CTA reads, “Look this cool” Who wouldn’t want to buy coolness? 5# Go Even Further, reduce CTAs to one! We talked about how if you want them to focus on your offer, you have to remove distractions and focus their attention into one visual funnel. But that alone won’t do, you must compose your email with a single goal in mind and orient your email towards that goal. Our brain is really bad at multitasking. We can’t focus on several things at the same time, we can only focus effectively on one thing. Giving your readers more than one option sends them into an indecision loop called analysis paralysis. One choice. One CTA. Great results. Having only one CTA tells your audience that by doing this ONE action, they will benefit from your product or service. One example of this is Whirlpool. 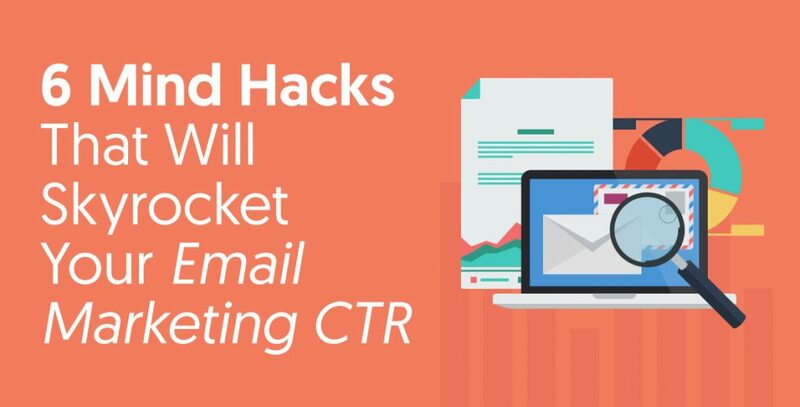 By changing their email marketing and focusing on only one product, instead of offering several of their products in one email, increased their CTR by 42%. We have an acute response system in our body to handle threats, when it’s triggered our sympathetic nervous system triggers a flood of signals that pumps adrenaline and additional hormones through our system, forcing us to make a stand or run, you know it as the fight or flight response. Every time a salesperson approaches us, we have that response. In the wild, when someone approaches you, and you don’t know them, they are usually a threat, and although sales people are not considered a threat, there’s still a healthy mistrust at the beginning of each interaction with them because they are strangers, and they want something from us. When you take the above into an online environment, you’ll also have to add being constantly pitched through every possible medium. People are tired, and they want something different, someone, who will understand their pain, their needs, and concerns and they want it only when they’re ready, in that aspect a targeted email that arrived on time is perfect. But unless you have a special offer or giveaway, pitching your product is not helpful and can, in fact, be harmful. A salesy subject line can lower your open rates, a design funnel that focuses solely on the sale will push them away, and if you don’t understand their needs and focus on the product, you’ll kill the sale. Instead, focus on the benefits to the customer, solving their pains. Play on the emotions of your audience by selling a feeling and creating a solution to something that bothers them. Impersonal branding turns away potential buyers, you have to know them, segment them and serve them according to their persona. Take Dropbox for example. With a vast target audience and an unemotional product, they have succeeded in creating a relatable and friendly story out of what they provide you with, instead of selling it to you. Their copy sells you security. Not a product. Another example is a strategy used by Vendasta. They targeted 730 business partners with an email campaign that showed those businesses a snapshot report in the email itself, with ‘View The Report Now’ as the CTA. 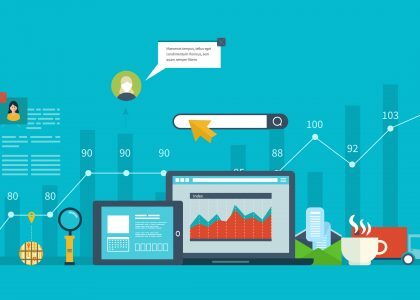 That snapshot promised the businesses that they’ll find out what they were missing on in their online marketing and how they can fix it. The initial email that delivered the snapshot report had a 34% open rate and a 49.4% CTR. The snapshot reports were the hook to the bait. Their copy sales a fix to a problem they’re having, and they’ll get that ‘fix’ after their click, that’s immense value offered right there. Working on increasing CTR is testing human reactions and perception, the more you connect with your recipients, the more they’ll click. Understanding how we react to certain situations is a must for every email marketer, not only for CRO experts, that’s why everyone needs to test their campaigns and understand human behavior to a certain extent. What are your hacks? Are you using something interesting, would love to know!